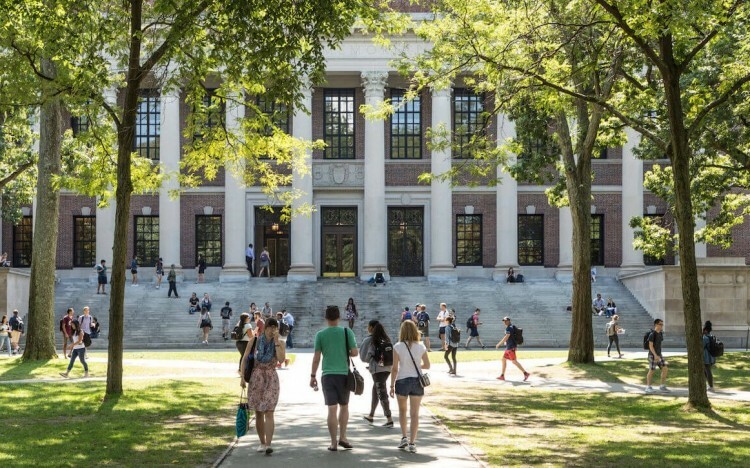 Home > News > Mba Degree > Does The US College Admission Scandal Extend To MBAs? A $25 million bribery case, Operation Varsity Blues, has called the entire US college admissions process into question. But does admissions fraud occur at MBA-level too? Last week, the US Justice Department indicted 50 individuals—including celebrities, CEOs, college coaches, and test administrators—in a massive college admissions fraud scheme. This $25 million bribery case named Operation Varsity Blues has saturated US media headlines. By all accounts, this is most egregious cheating scandal in the history of higher education and has even entangled several MBAs, from Harvard Business School, Stanford GSB, Kellogg, and Michigan Ross. US federal authorities, led by the FBI, uncovered a sweeping college admissions scam of cheating and bribery among wealthy, well-connected parents who sought to get their children into the most elite undergraduate colleges in the country. As reported by Inside Higher Ed, this audacious scheme allegedly involved faux athletes, coaches who could be bribed, cheating on the SAT and ACT, million-dollar bribes, and ‘guarantees’ that certain applicants would be admitted to highly competitive colleges. In almost 20 years working in MBA admissions, no one has asked us to do anything fraudulent. But that doesn’t mean it’s not happening. Does MBA admissions fraud happen? It’s no secret that corruption can exist in every institution, at any level. There’s fertile ground for fraud whenever you have outdated systems with loopholes. Someone will always find a way to manipulate the system with money, connections, and/or criminal activity. At the college level, you’ll find loopholes via ‘back channels’ like athletics. Here, a broker (a college coach) will have a side conversation with admissions to boost their applicant. That’s a weak system that countless candidates have exploited. Less brokering occurs at the MBA level, but shades of admissions fraud may exist. While there’s less parental desperation and involvement in the MBA space, we do see some epic helicopter parenting. We’ve had conference calls with the child of an international billionaire and their team of handlers discussing how an unqualified kid can get into HBS, and what sums of money are involved. While unfair, it’s not illegal. Still, that’s an aspect of the application process we walk away from. We’ve seen some offspring from big donor families get a magical admit into top-three programs due to the influence of the donation. Similarly, an influential alumnus going to bat for an applicant can be a dealmaker through the MBA admissions process. One sensitive topic might concern whether the in-house relationship managers at traditional feeders such as management consulting firms and private equity shops give their employees an advantage by networking with MBA admissions—that’s all fair and legit, though. In fact, we know of many applicants from these feeder firms who don’t get in, despite having the back-channeling benefits. How are business schools fighting admissions fraud? There will be ongoing conversation around fairness, privilege, ethics, and the win-at-all-costs ethos in academic admissions. However, a full-blown admissions scandal is less likely to extend to the MBA admissions arena due to the extensive background check process that most top-MBA programs have in place. Business schools are looking for a track record of success at work, and that is quite difficult to fake. MBA admissions can do a ‘sanity’ check to see if the GPA, college degree, and GMAT score together logically resonate with career path. And admissions staff members often do online searches to verify anything that seems questionable. Many programs also conduct interviews of those they admit to their programs. Between the interview and background check, any falsified elements of an applicant’s story would likely be exposed. For now, an MBA admissions version of Varsity Blues seems unlikely.